Dubai: Refreshing drinks associated with Ramadan which are popular in the Muslim world are expanding their production capacities in the UAE to quench the market's year-round thirst. Zamzam Cola, a local soft drink named after the holy spring in Makkah, is one alternative to US brands Coca-Cola and Pepsi that is distributed in the Middle East where it hopes to create a strong presence. The company is planning to open a $10 million (Dh36 million) manufacturing facility in the Dubai Investment Park next year with a production capacity of 80 million bottles per year, said Hossam Al Ramahi, Director of Zamzam Cola in UAE. Zamzam Cola already has manufacturing plants in Palestine, Iraq, Oman, and Jordan with a total capacity of 600 million bottles. "We decided to relocate back to the UAE as we have a good market here for our products," said Al Ramahi. "The next stage of our project shall be a water filling line and juices — all in glass, cans and PET." 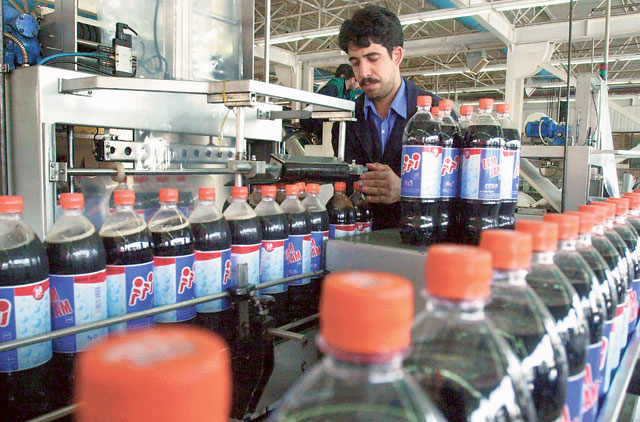 Zamzam Cola, established in 1997, reported a 10 per cent increase in sales year on year in the Middle East, he added. In a market saturated with well-established international cola brands, Zamzam Cola hopes to gain an edge with lower prices and the pride of a locally made drink. "We have distributed our products to so many supermarkets. As our product is made locally, it has very competitive prices and good quality." In the UAE, where it will manufacture and distribute the soft drinks under the Zamzam Refreshment Company, the price for one litre is Dh2 and for 335ml it is Dh1. "This is an Arabic drink, it is different from the image of Pepsi and Coke, we compete price-wise. People care about prices. In Oman, this proved successful and the UAE has a bigger population and bigger purchasing power," he said. Within three years of entry into the UAE market, Zamzam Cola hopes to win 10 to 15 per cent of the market share, he added. Cola drinks from across the Arab and Muslim world such as Zamzam Cola, Arab Cola and Mecca Cola, have emerged to push an Arab identity to a familiar flavour. "People like to change, if they see a national Arabic drink, they would like to try it. Most importantly it should compete on price and quality," he said, adding that start-ups are getting a big break from multinationals by improving their machinery and factories. Still, Al Ramahi, who used to work with giants Pepsi and Coke, is realistic about his company's product. "If I say we're competing with Pepsi or Coke, then that's arrogance on our part. We don't want to compete. The UAE is a big market, everyone can go in, everyone can get ahead if they have their wits — if you can convince consumers to switch brands." The company is already capitalising on a local market pumped up for energy drinks. The Power Plus Energy Drink is produced in the UAE and has been doing good in the market, that's why we have a fast expansion rate," Al Ramahi said. Seeing demand brim for energy drinks, the company is launching a new 3-in-1 product in one month under the Power Plus brand with ginseng, Vitamin C and a twist of energy boost, he added. While some drinks appeal to consumers' nationalistic spirit, others are popular staples during Ramadan. Vimto expects to sell 25 million bottles in the Middle East during this time, according to Kadir Gunduz, president and CEO, of local franchise holder Aujan Industries. It makes more than half of its annual sales during this month, when fasting Muslims reach for the energy-boosting drink, he said. Aujan is investing €100 million (Dh523 million) to expand capacity in its three existing plants in the UAE and is well on its way to achieving its $1 billion sales revenue target by 2012.